Some childhood cancer patients had a chat this Friday September 16 with an astronaut aboard the International Space Station wearing a hand-painted spacesuit they helped decorate. 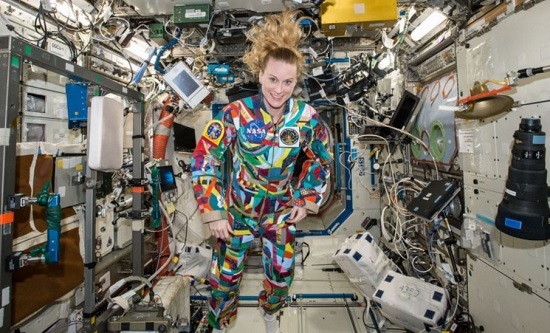 NASA says astronaut Kate Rubins will wear the suit, dubbed “Courage,” during a 20-minute chat Friday afternoon with patients from the University of Texas MD Anderson Cancer Center in Houston. Rubins has a degree in cancer biology. NASA says she will answer questions from the patients.